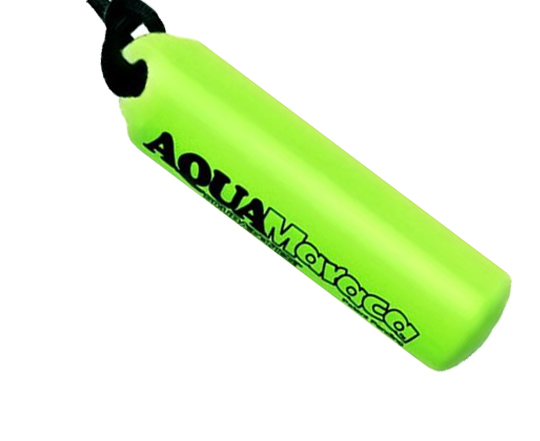 The Innovative Aqua Maraca Underwater Signaling Device offers you a small and compact, yet acoustically engineered to be audible over 30 feet away. 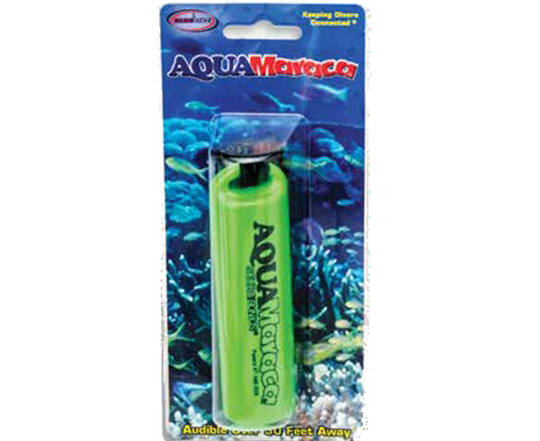 Simple yet very effective to get your dive buddies attention underwater. Comes with a safety lanyard for easy carrying or attach to BCD.